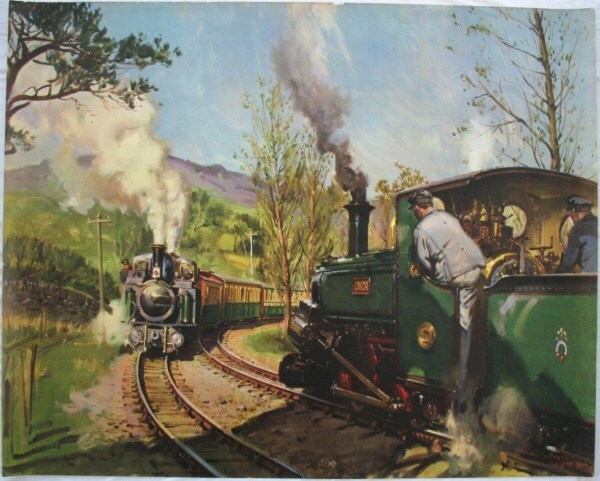 Lot 56 Q/R Poster 1964 BR untitled version of "Ffestiniog Railway - The Pass Track" by Terence Cuneo. Produced in support of the work to extend the line from Tan-y-Bwlch, and then also re-issued to celebrate the 100th anniversary of its passenger trains the following year. Very good rolled condition, small loss to top edge.